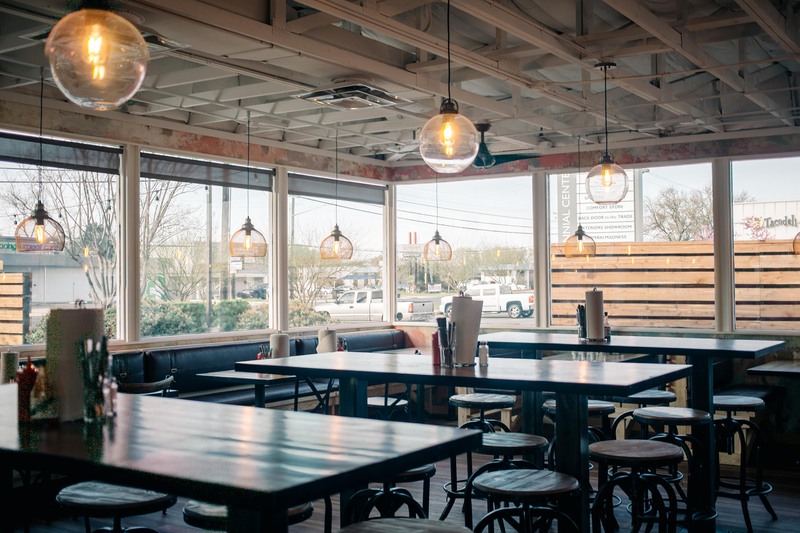 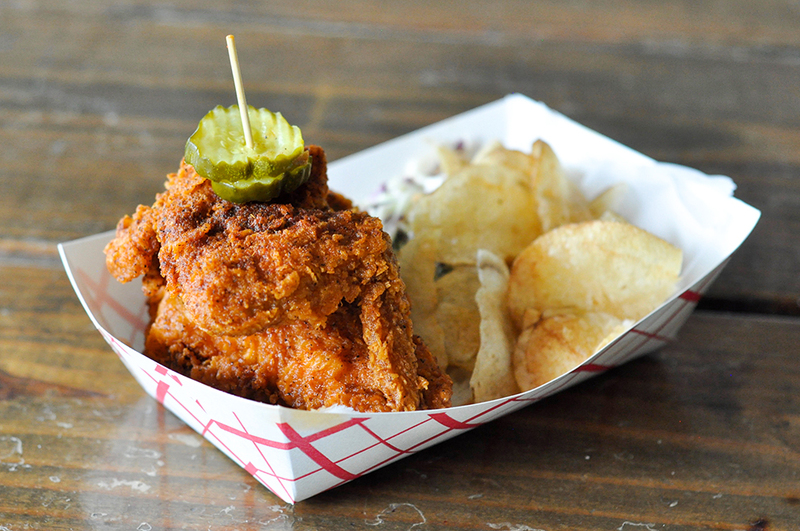 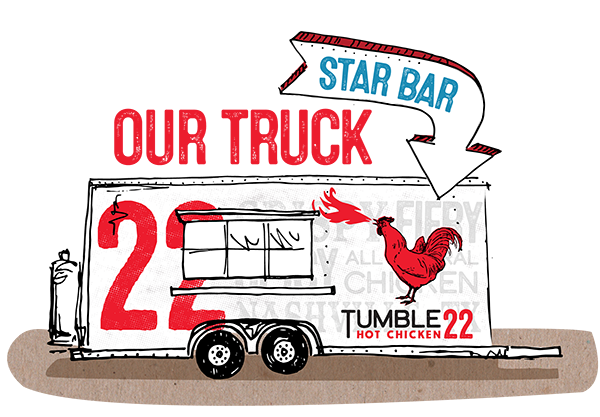 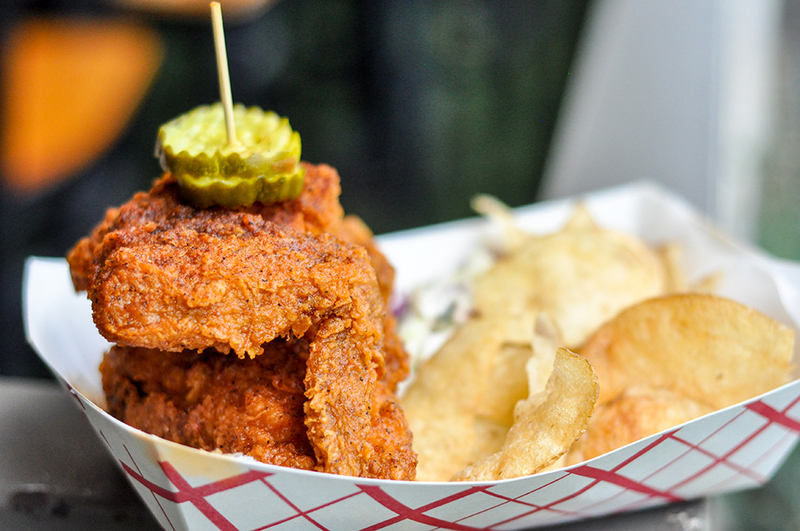 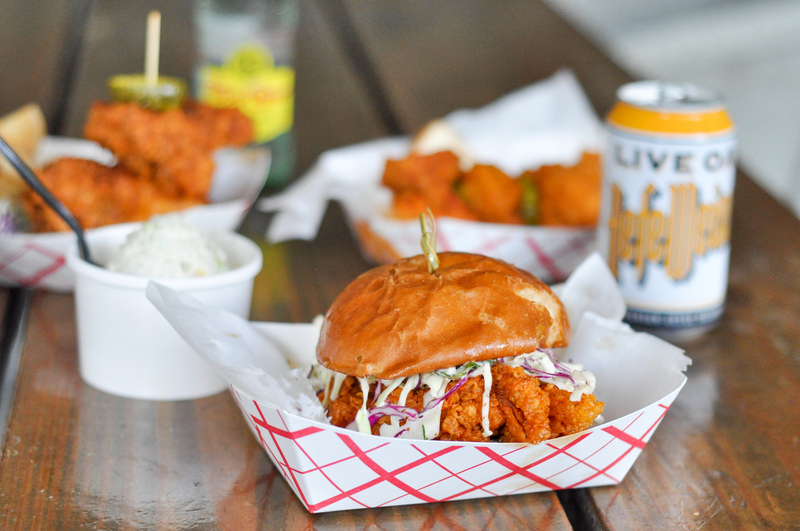 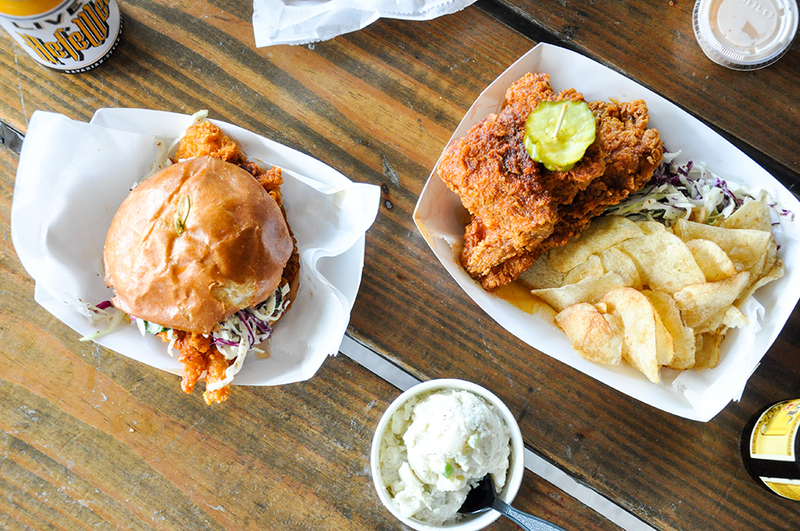 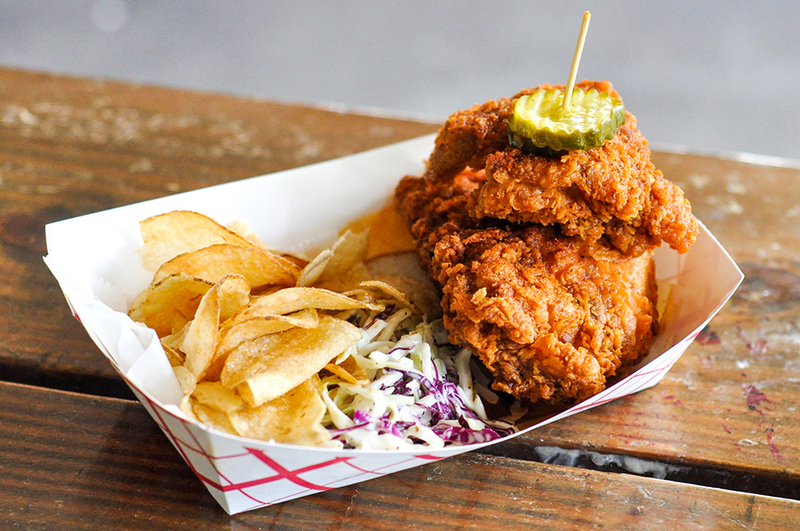 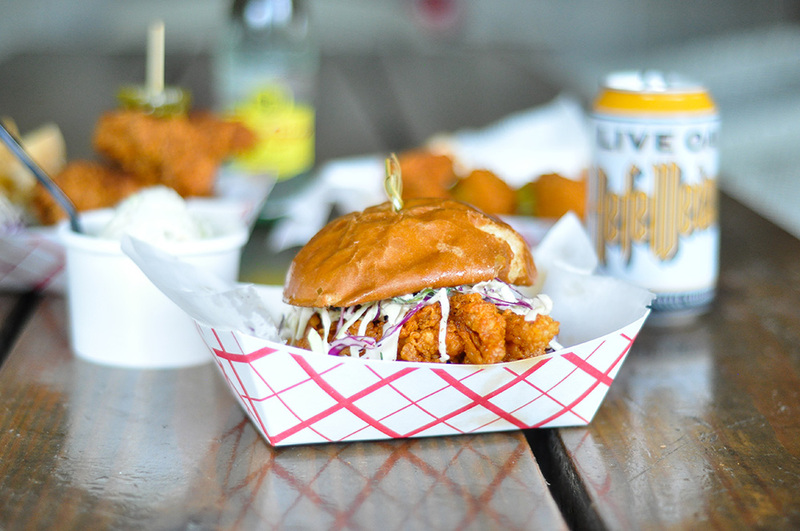 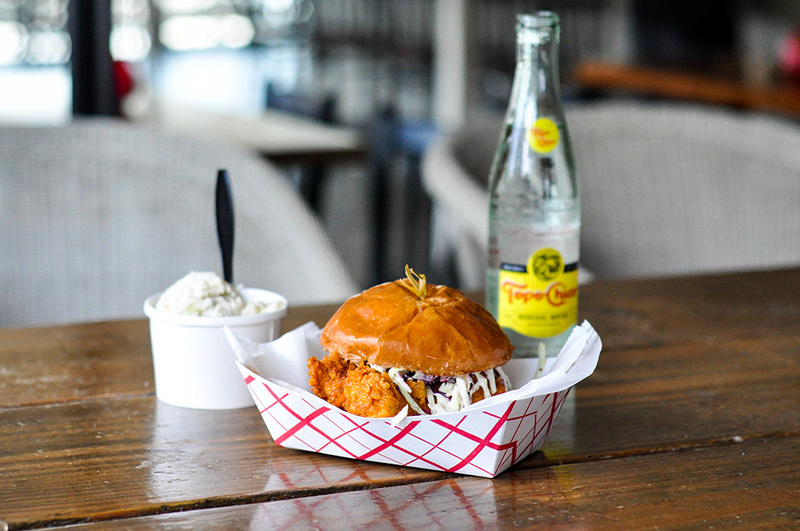 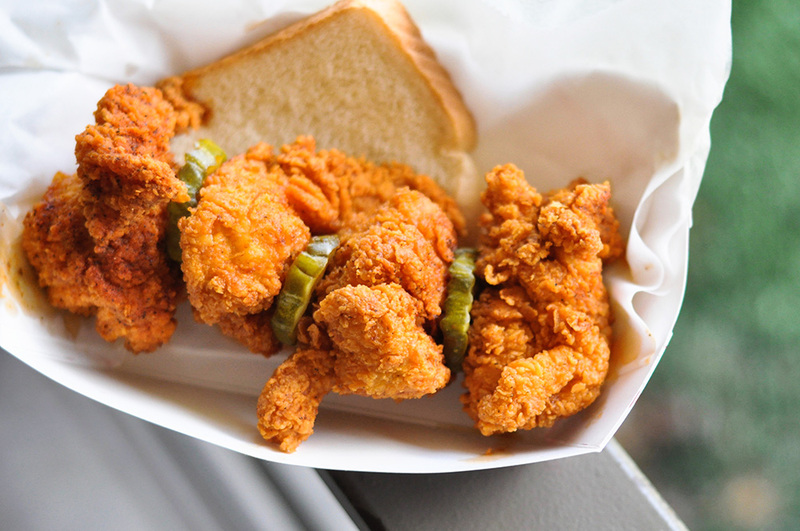 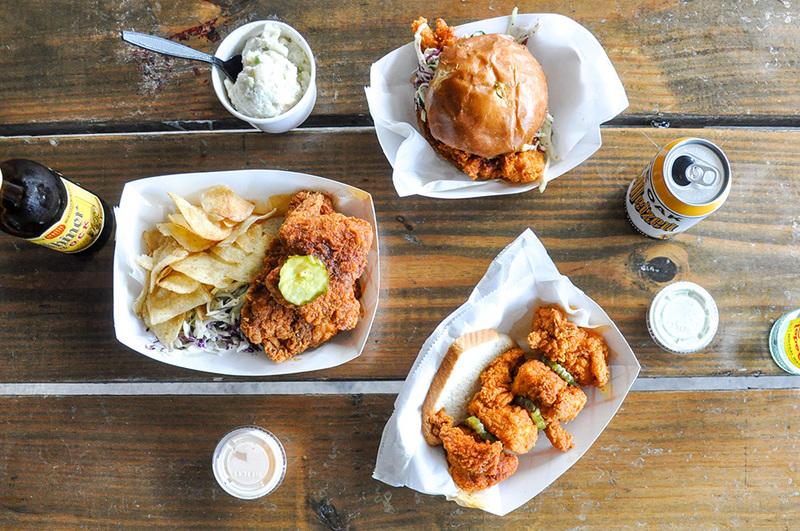 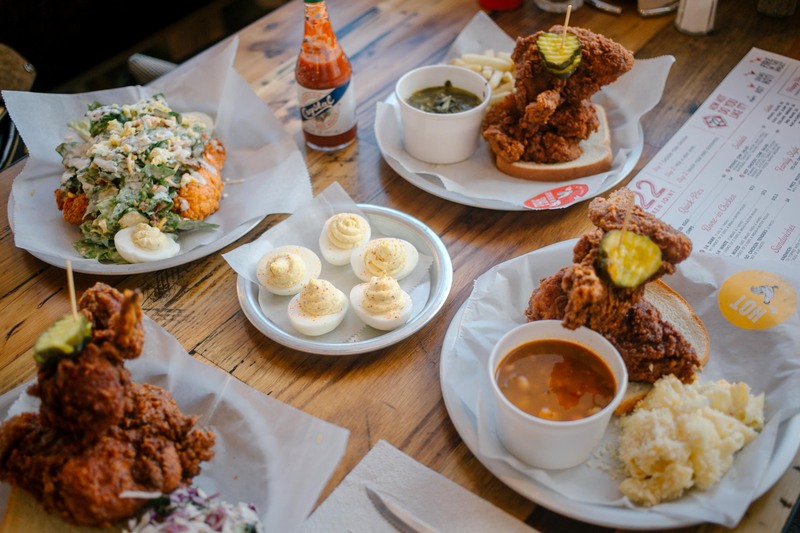 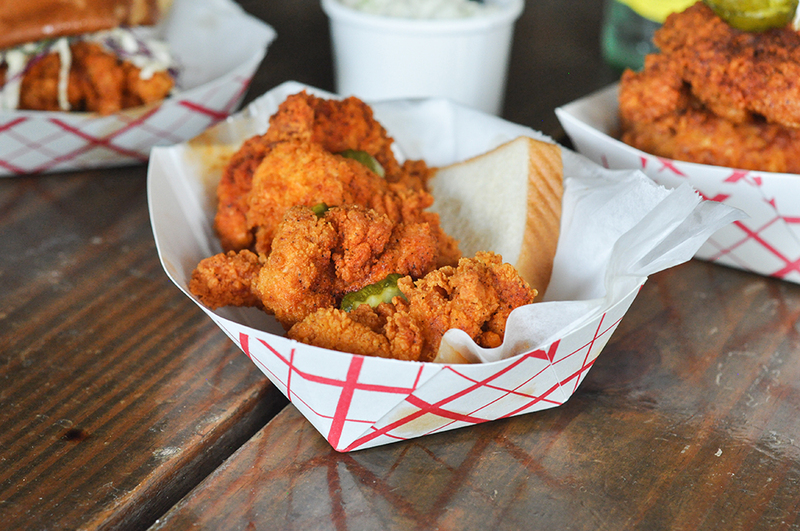 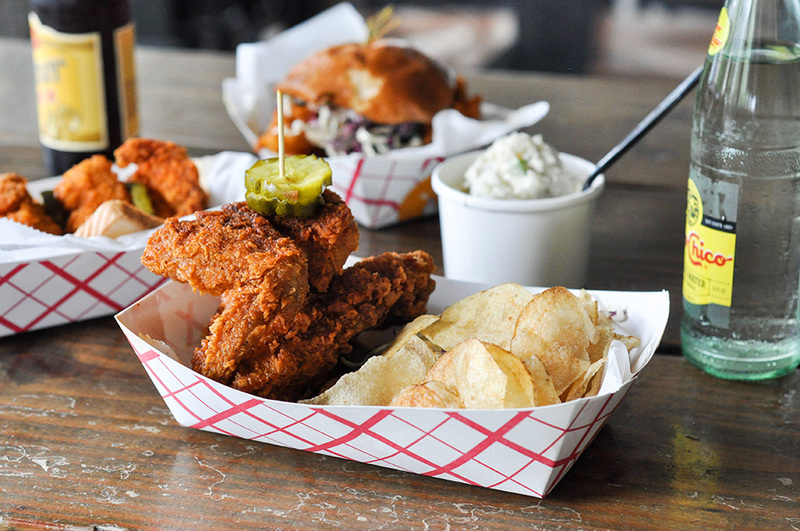 Tumble 22 Hot Chicken is blazing a new trail in Austin! 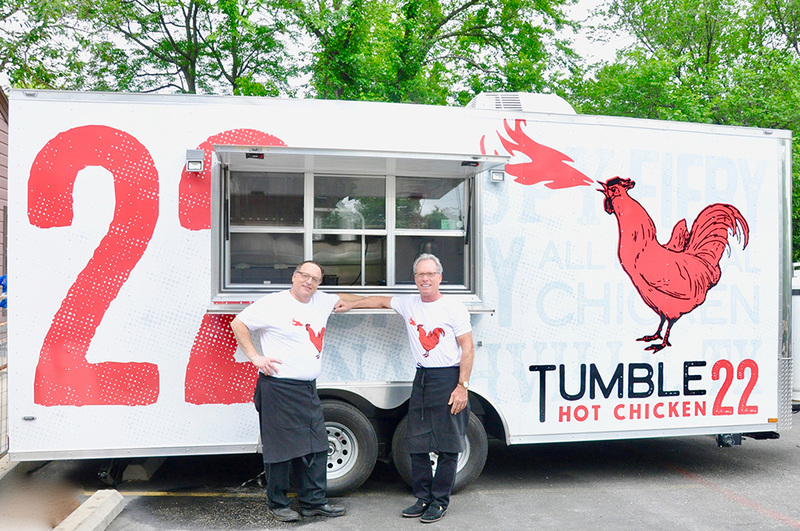 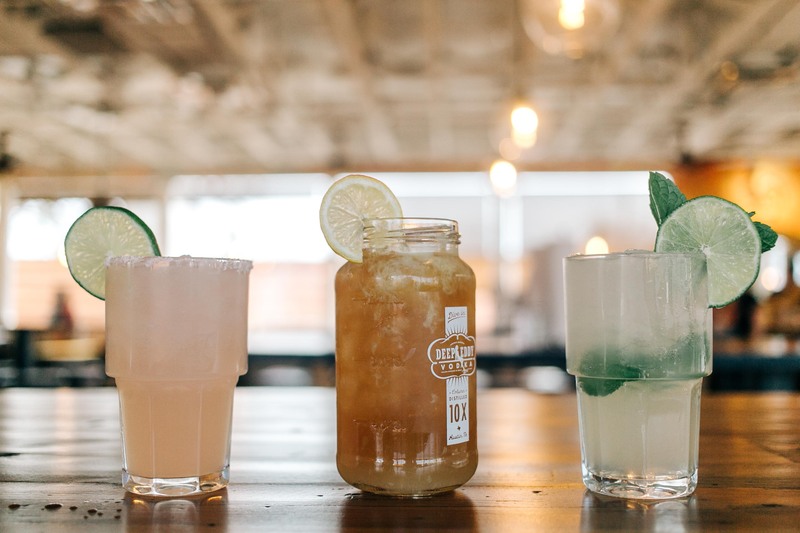 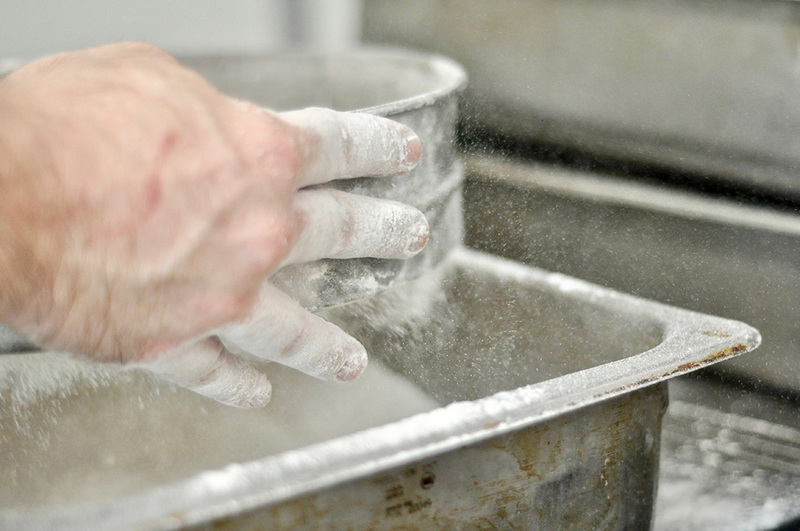 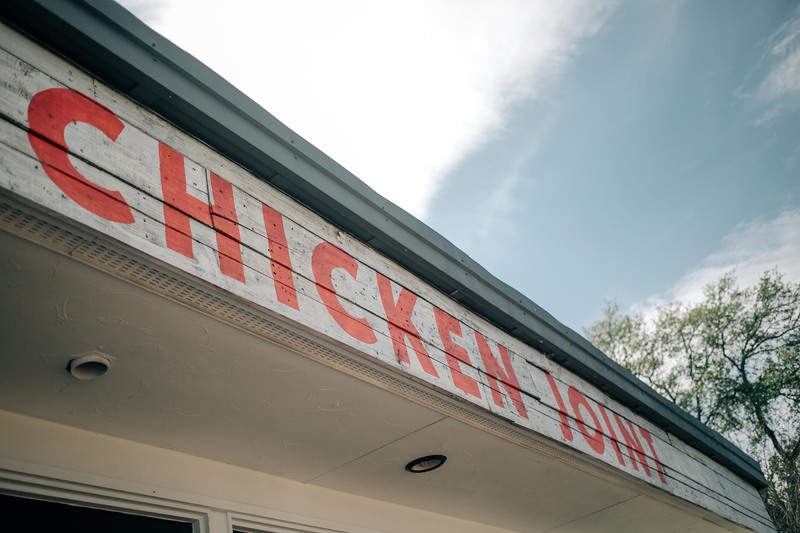 Inspired by Nashville hot chicken, Harold Marmulstein, Salty Sow Chef and Owner is expanding his portfolio bringing his chef-inspired knack to the newest venture Tumble 22 Hot Chicken, changing the way Austin experiences chicken. 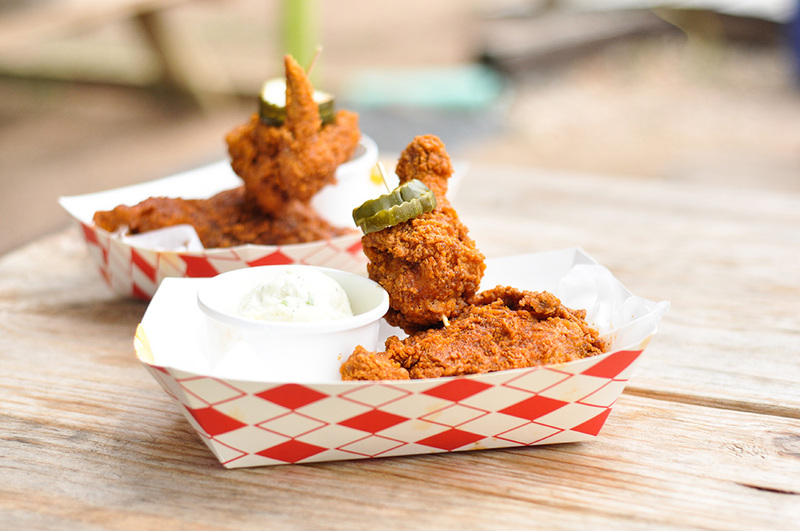 The chicken is fried and coated in Chef Marmulstein’s own secret blend of spices, getting its heat from the cayenne and spice dip. 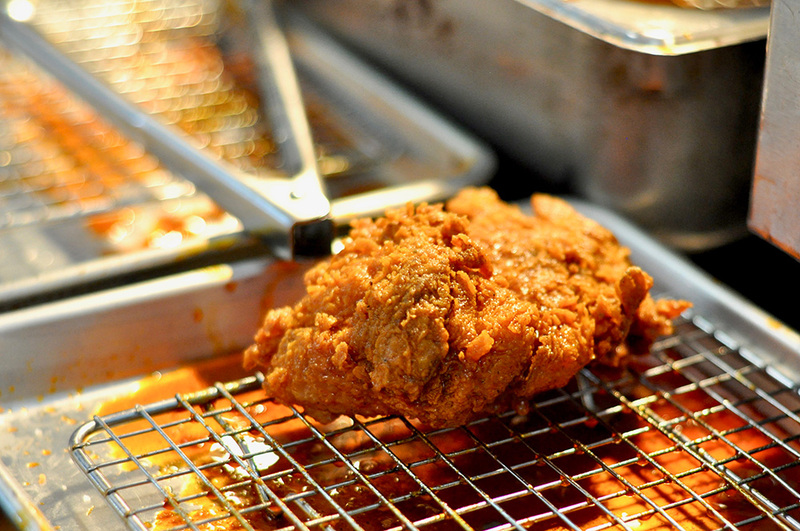 The basic components of the dish are chicken, a combination of spices, and careful cooking in hot oil. 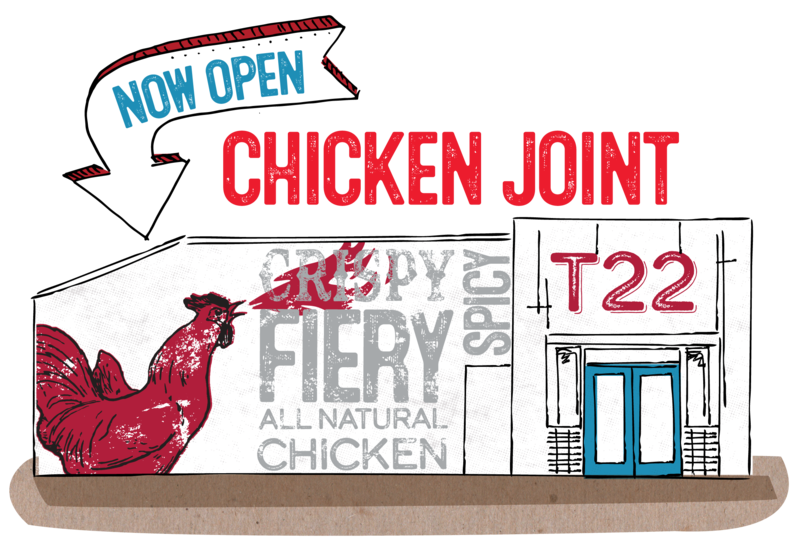 MSG is not used in the preparation of any of Tumble 22 chicken or products. 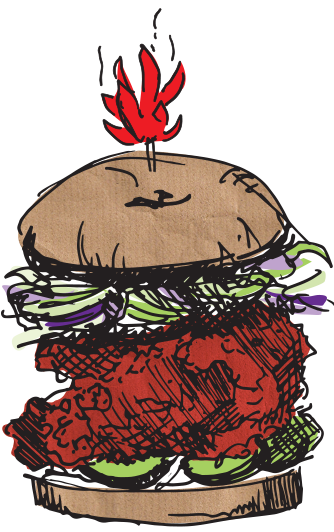 So how hot is it? 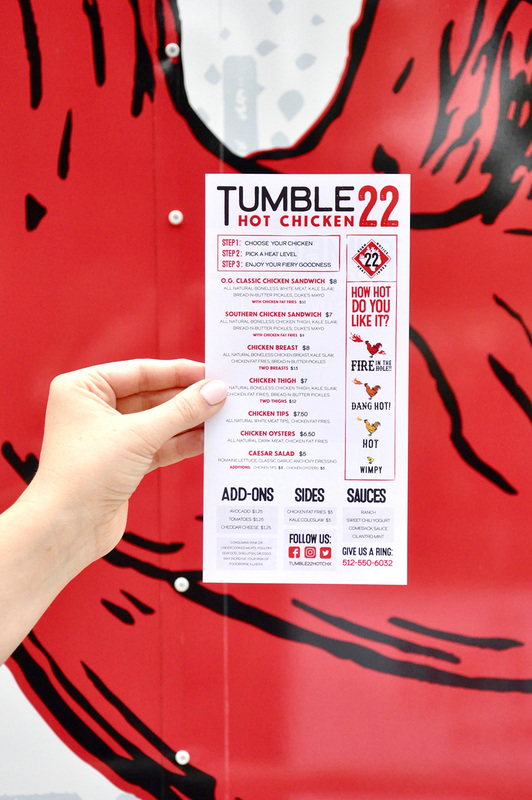 Tumble 22’s four heat levels don’t mess around ranging from “wimpy” to “Cluck’n Hot.” But, before you delve into this culinary adventure be forewarned, you’ve got to be ready to take a little heat. 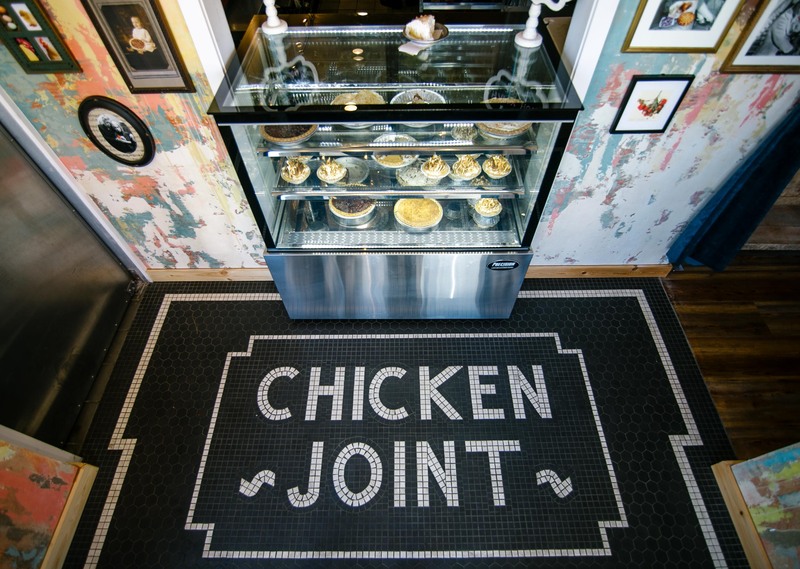 For those who don’t like it hot, the menu includes other flavor options and sauces like Sweet Chili Yogurt and Cilantro Mint. 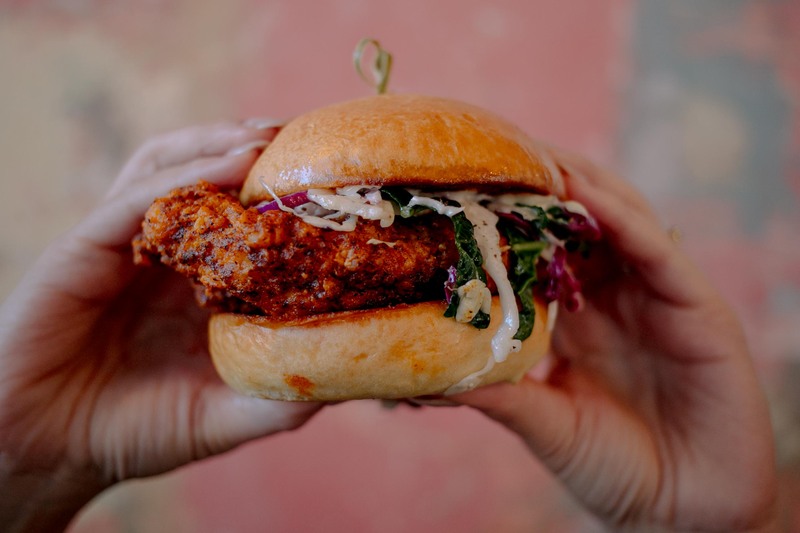 ALL NATURAL BREAST, TOPPED WITH KALE SLAW, BREAD & BUTTER PICKLES AND DUKE’S MAYO. 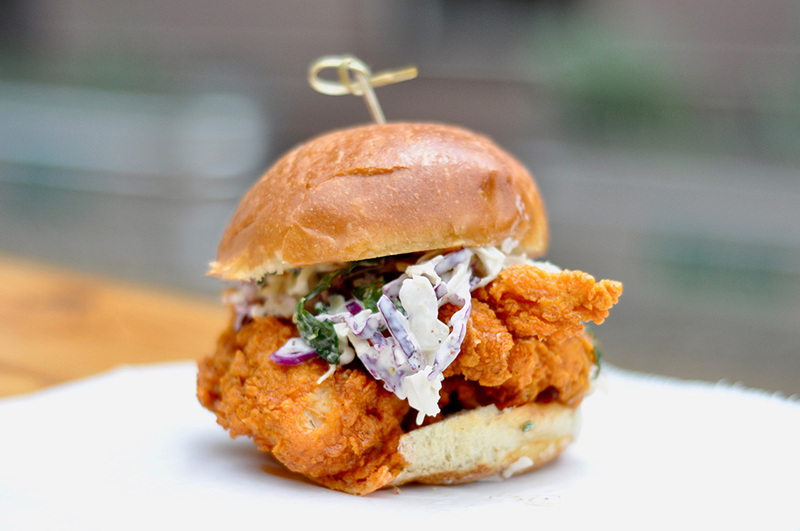 ALL NATURAL THIGH TOPPED WITH KALE SLAW, BREAD & BUTTER PICKLES AND DUKE’S MAYO. 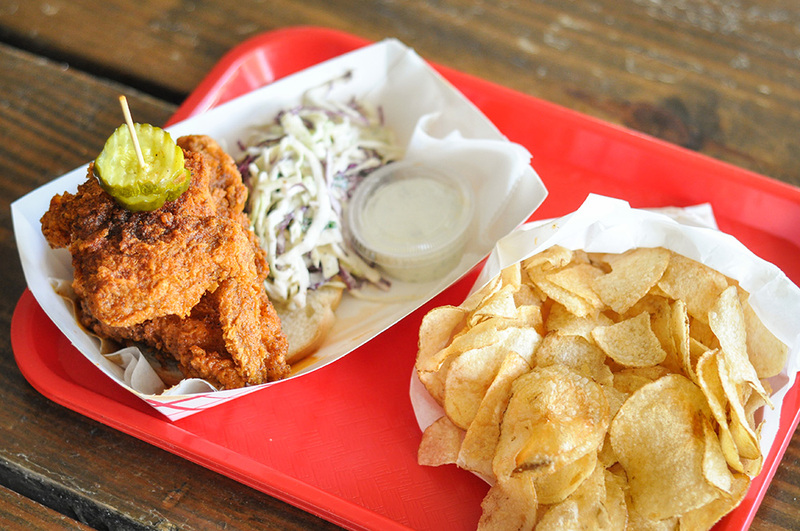 ALL NATURAL JUMBO WHITE MEAT WITH CHOICE OF 2 SAUCES. 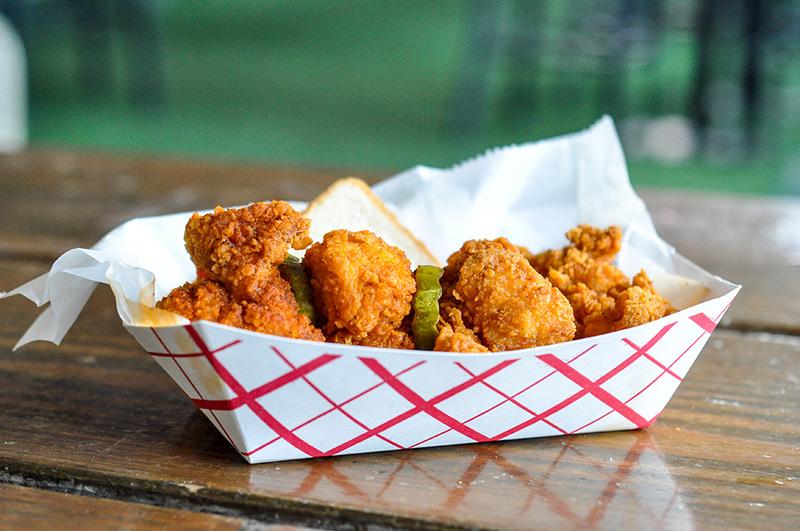 ALL NATURAL BONELESS DARK MEAT WITH CHOICE OF 2 SAUCES. 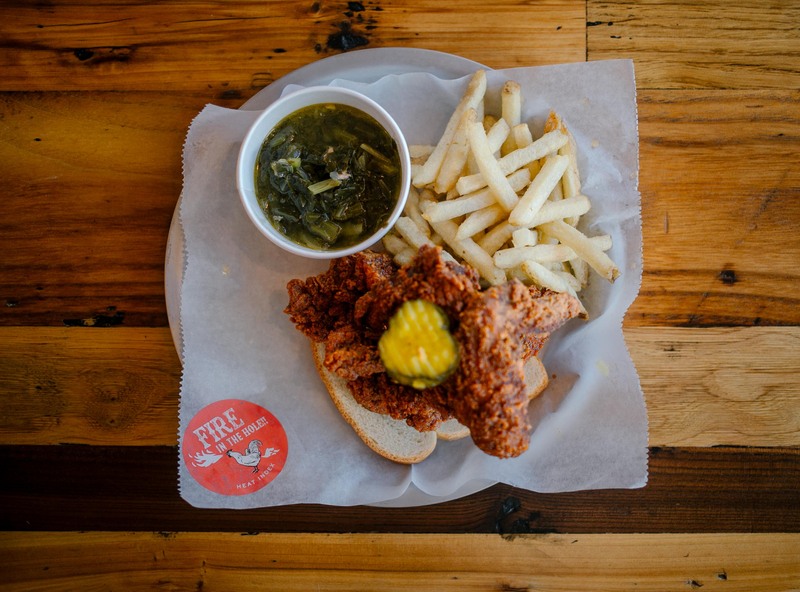 Don’t just take our word for it, hear what people are saying about our HOT CHICKEN!